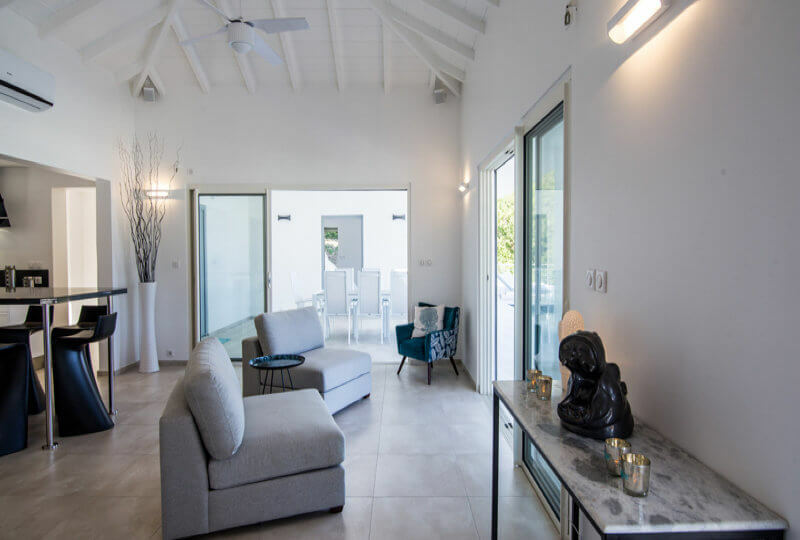 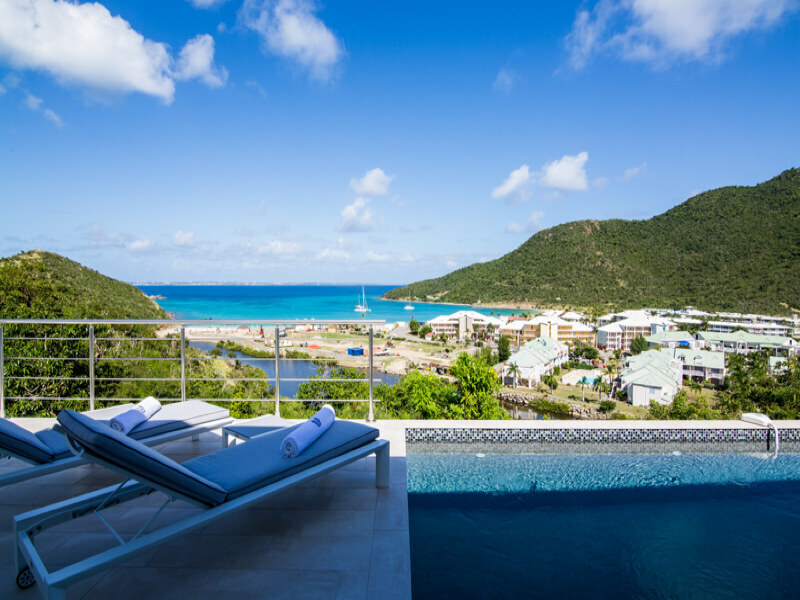 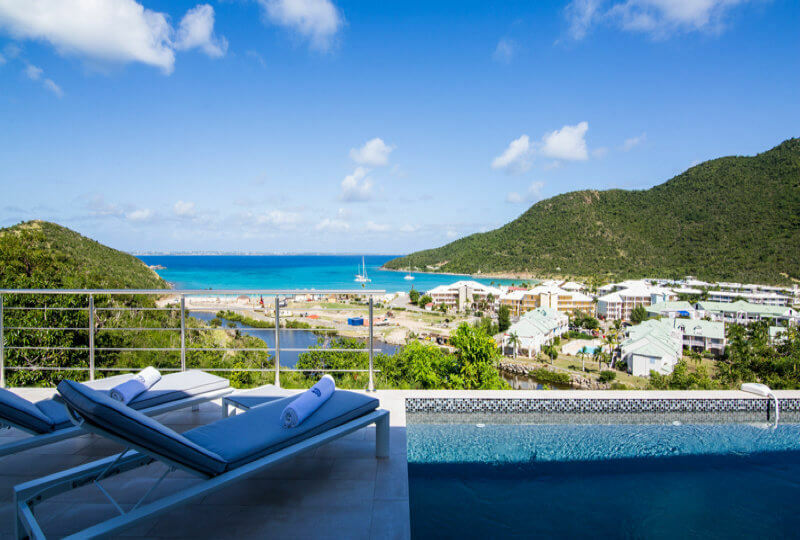 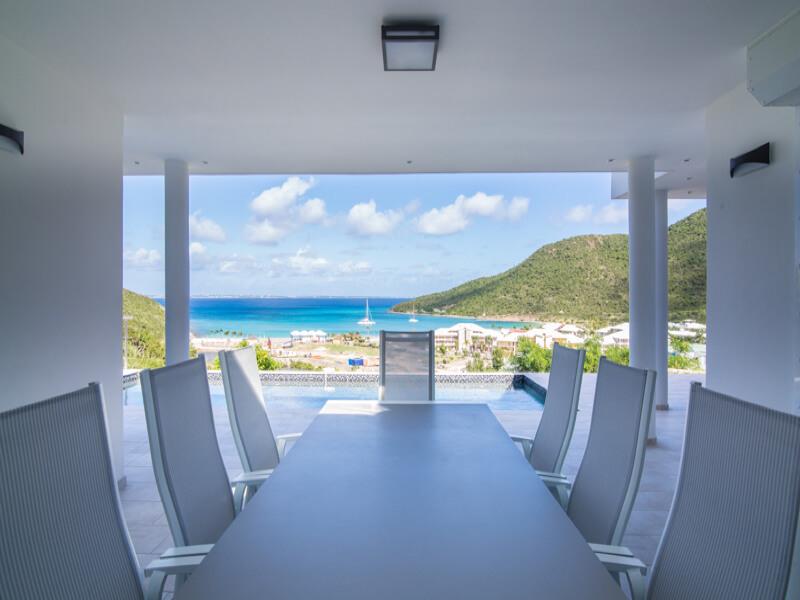 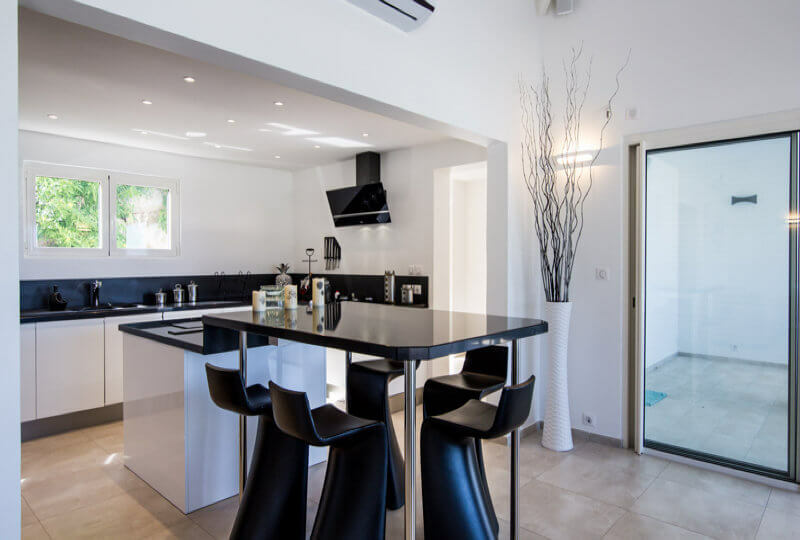 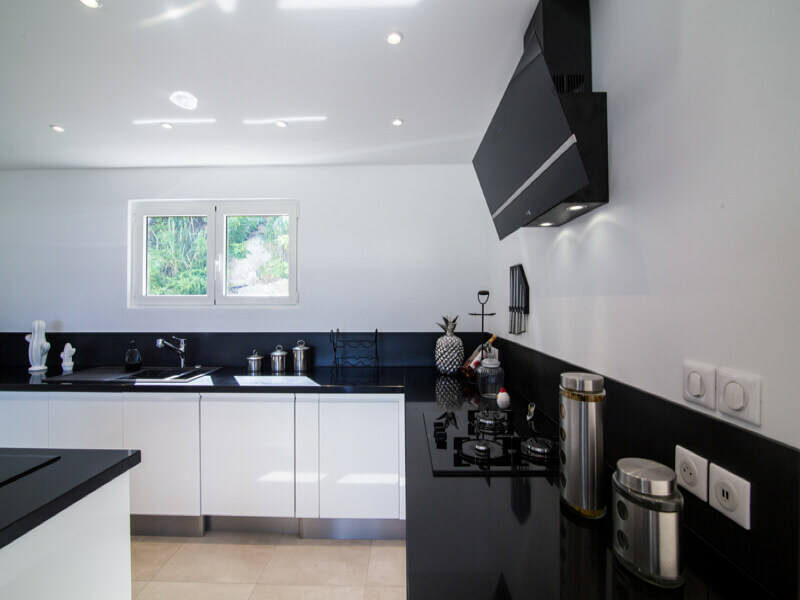 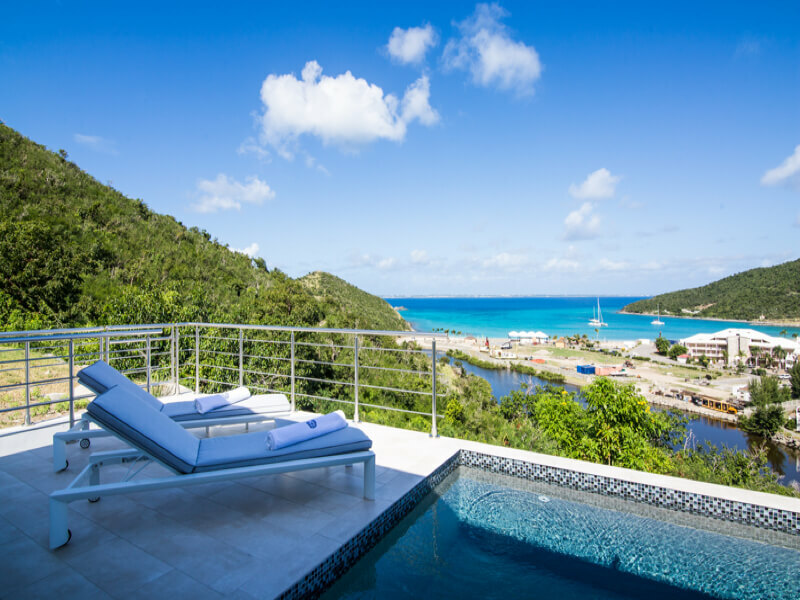 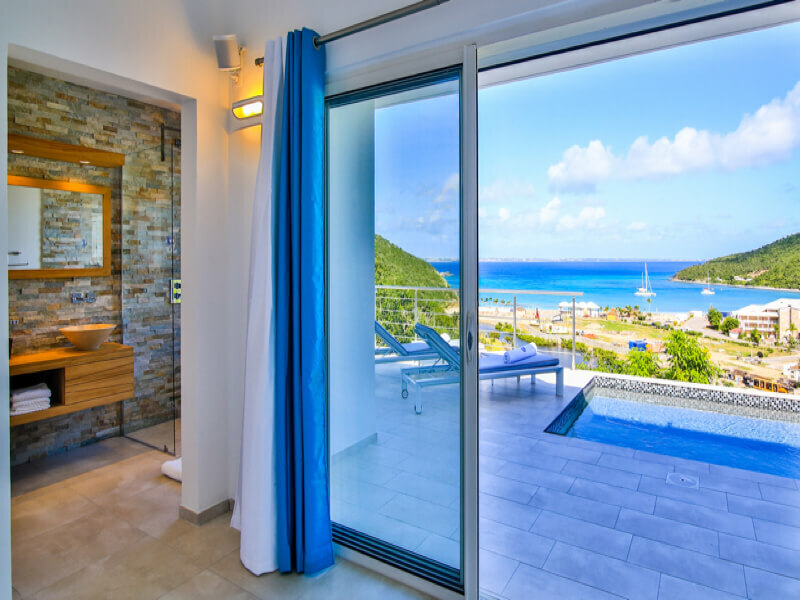 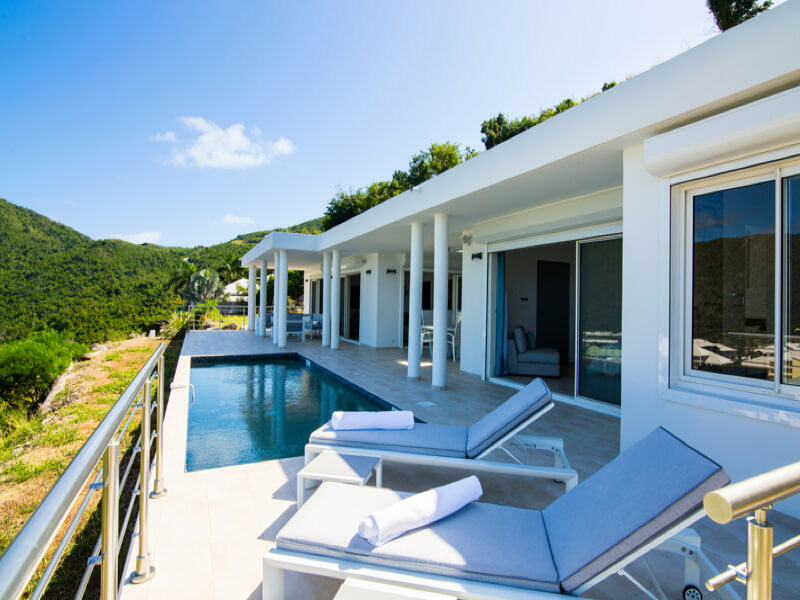 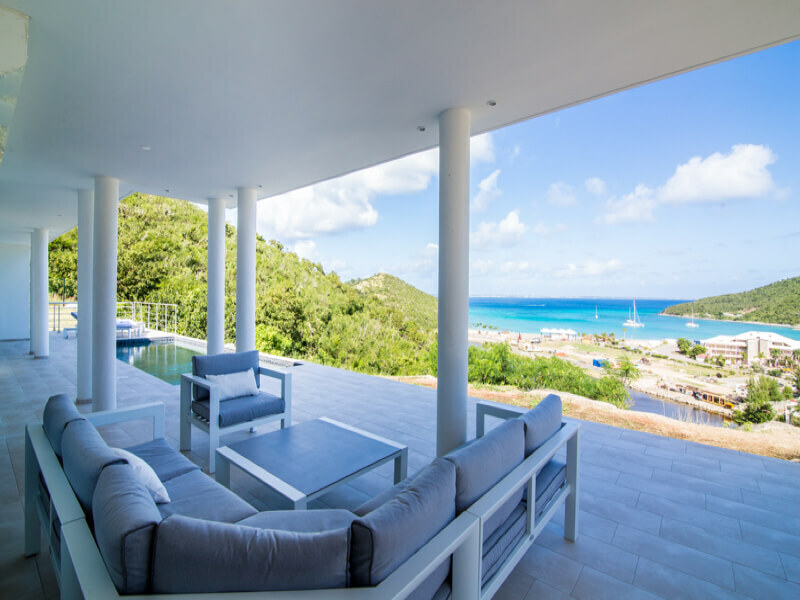 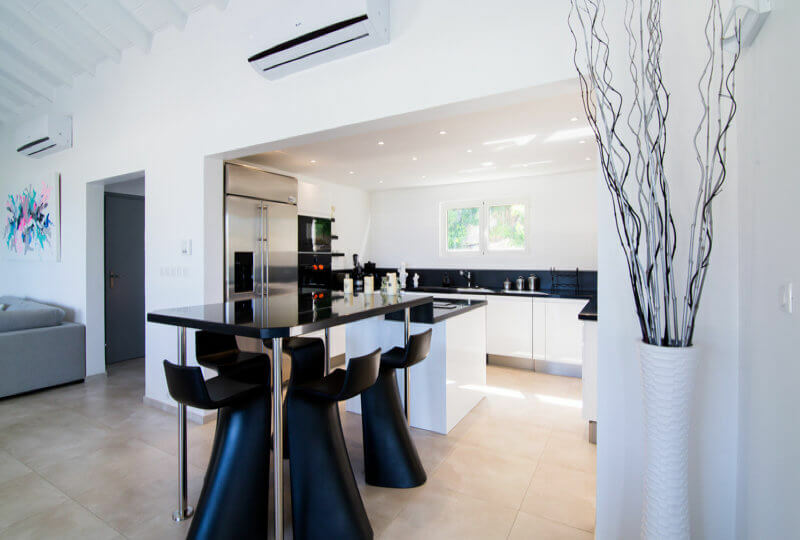 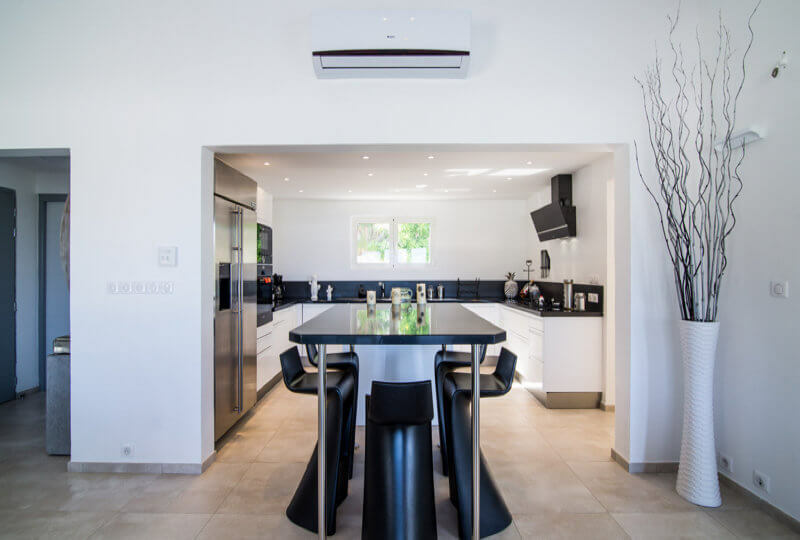 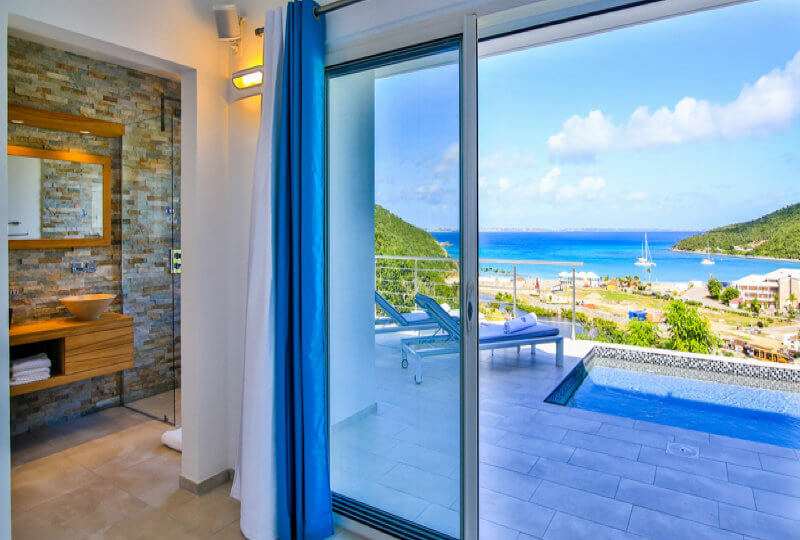 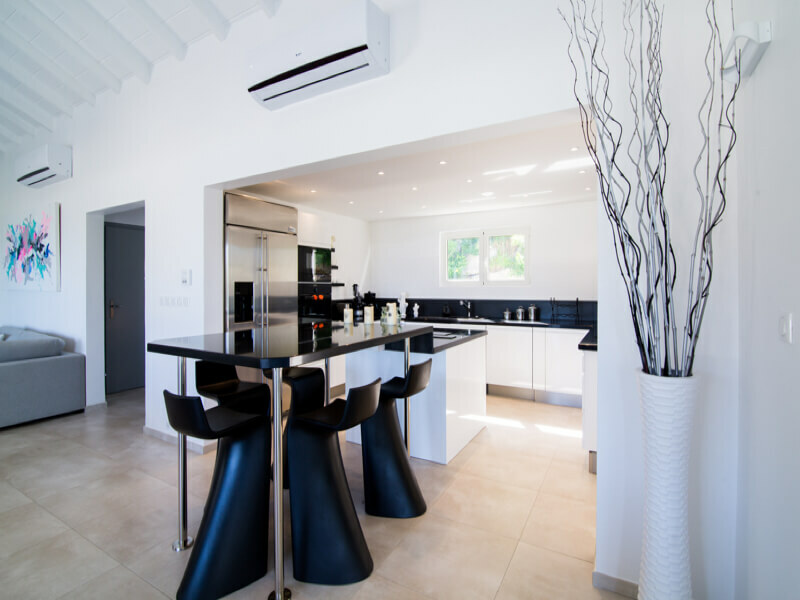 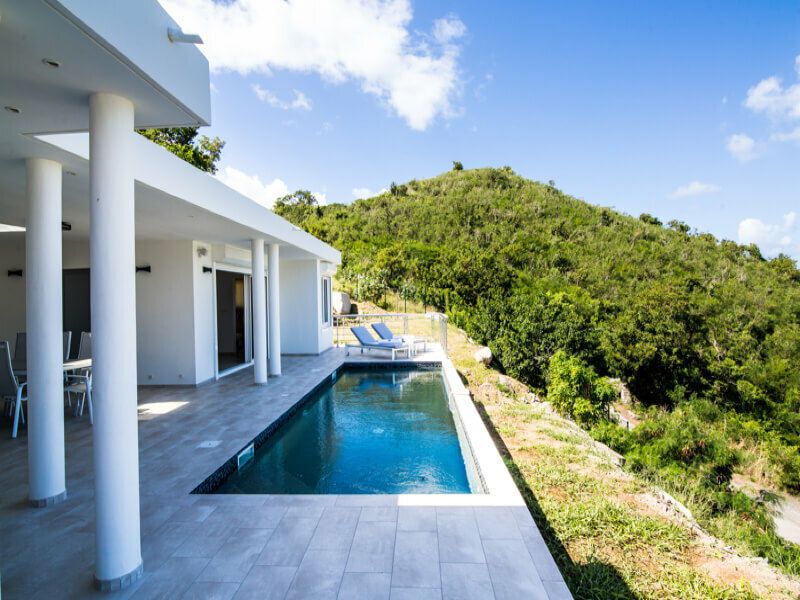 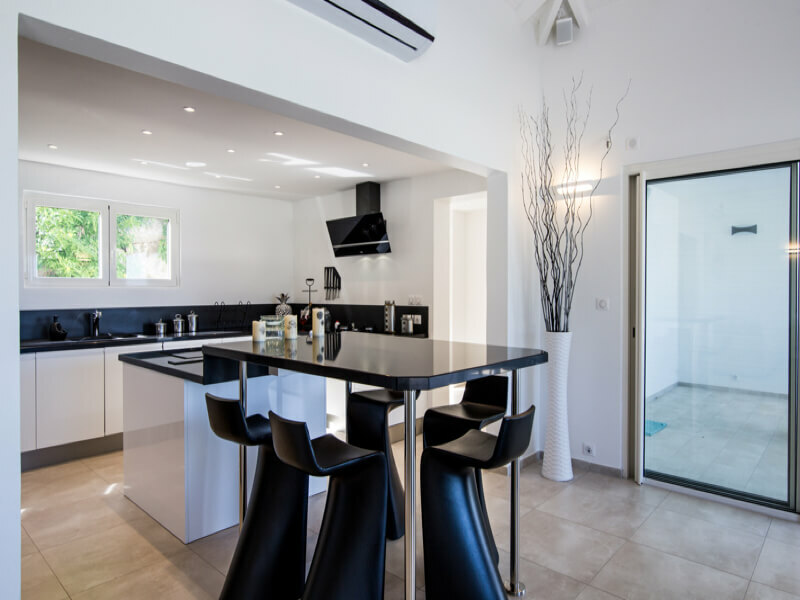 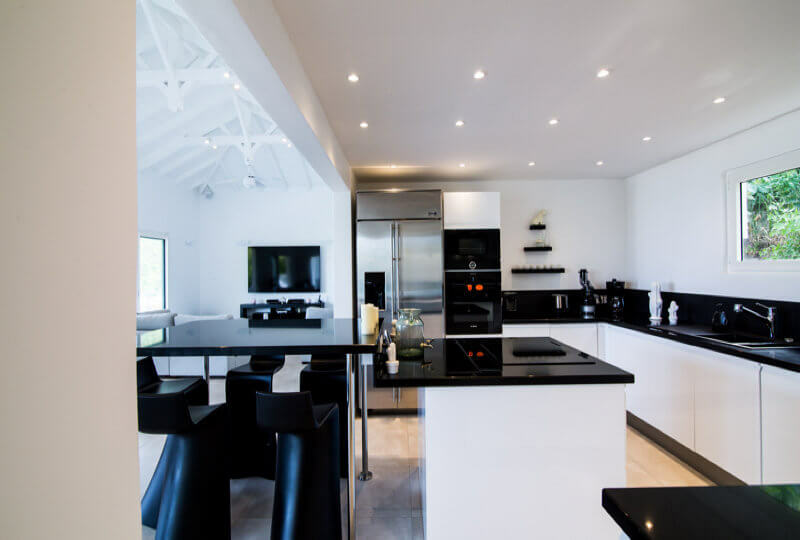 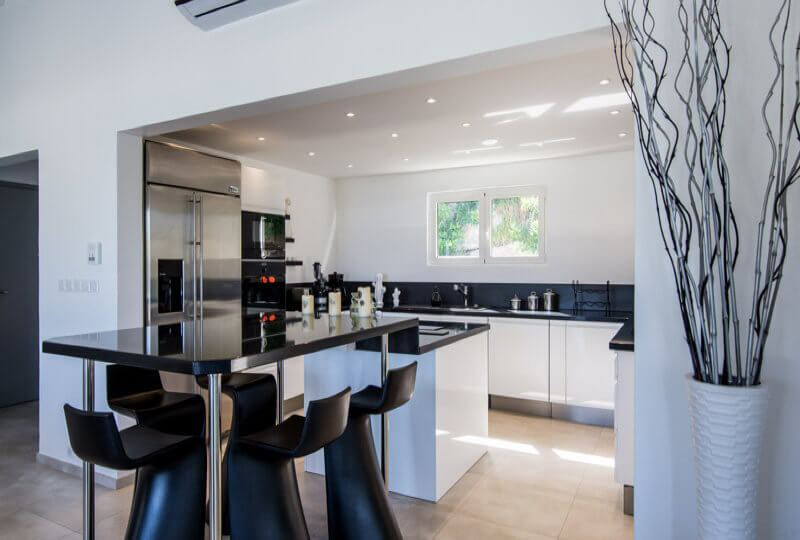 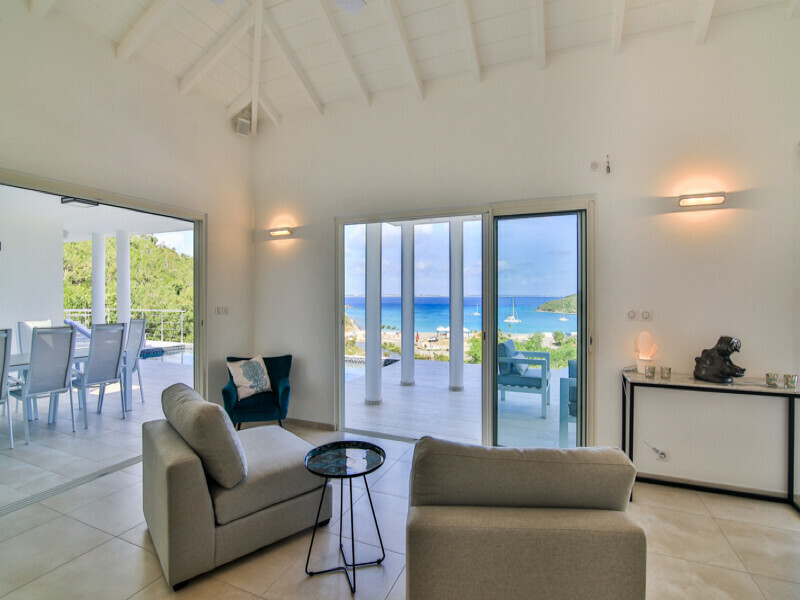 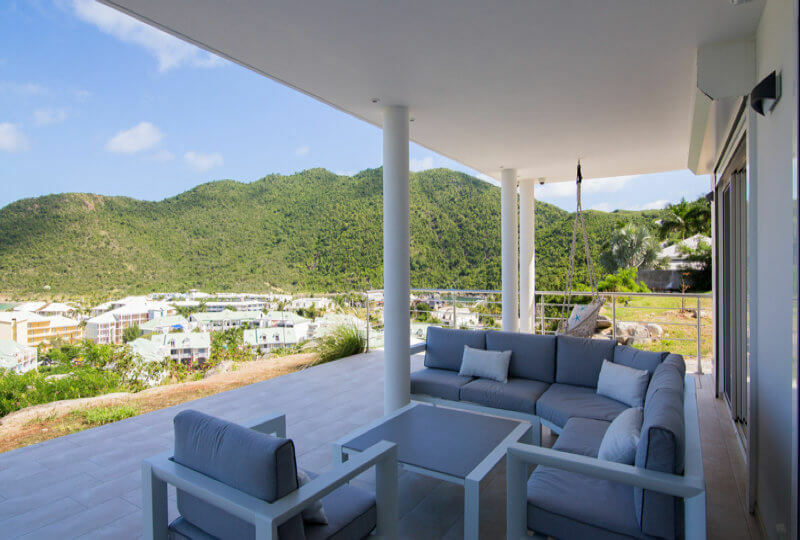 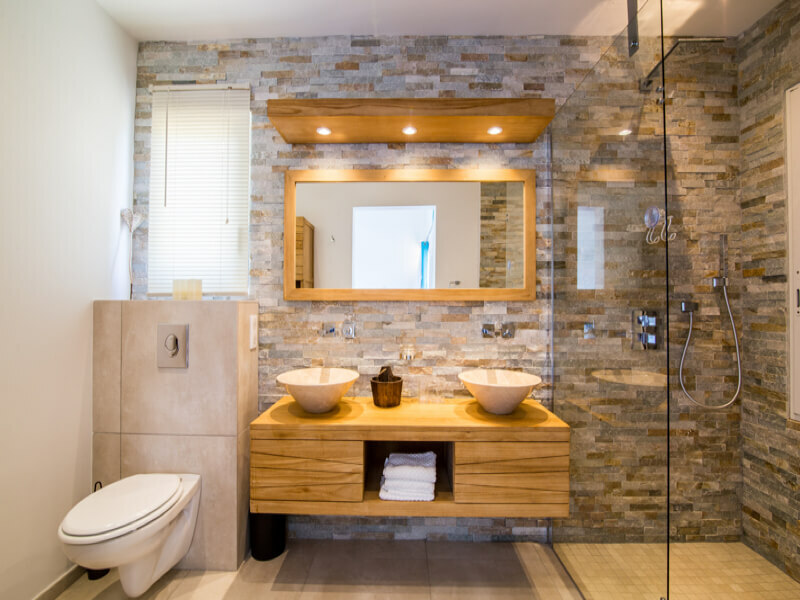 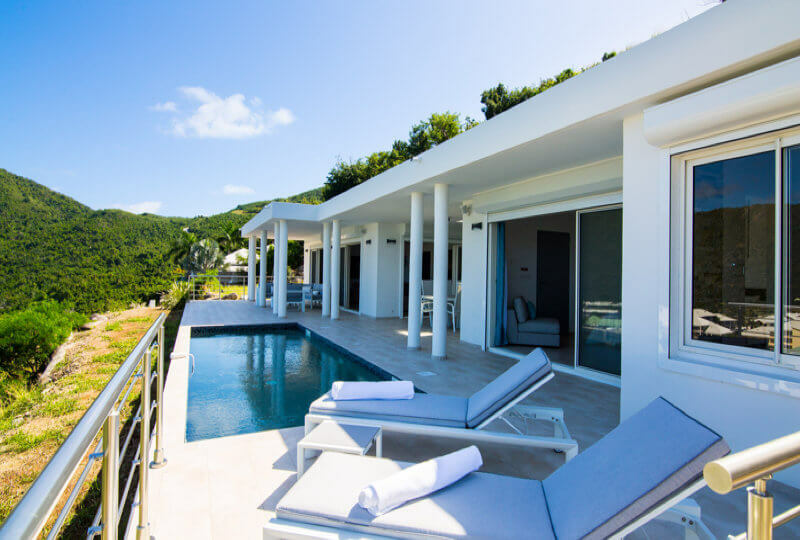 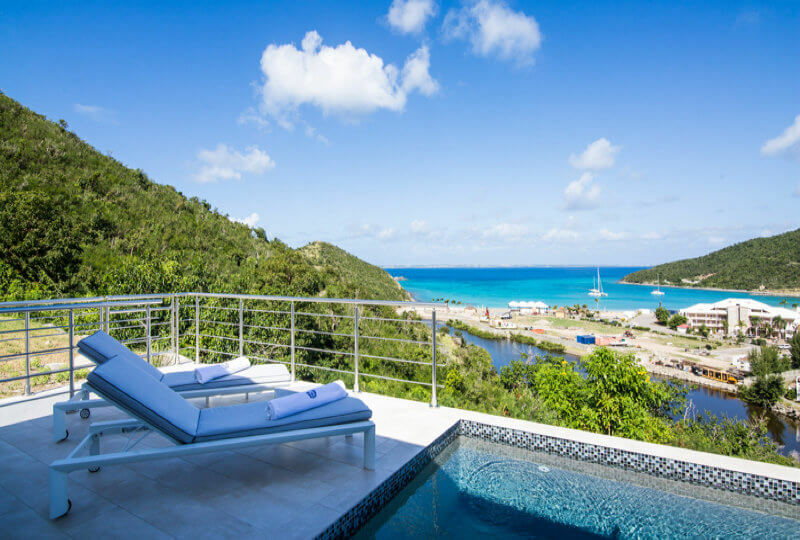 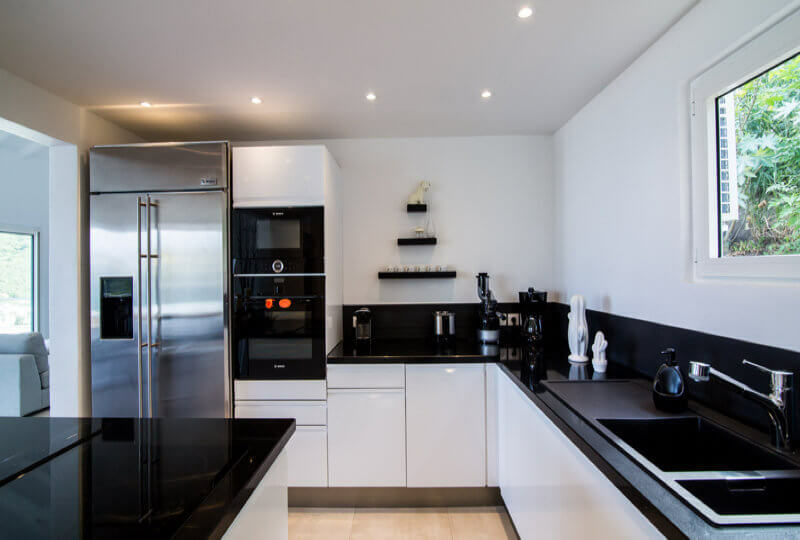 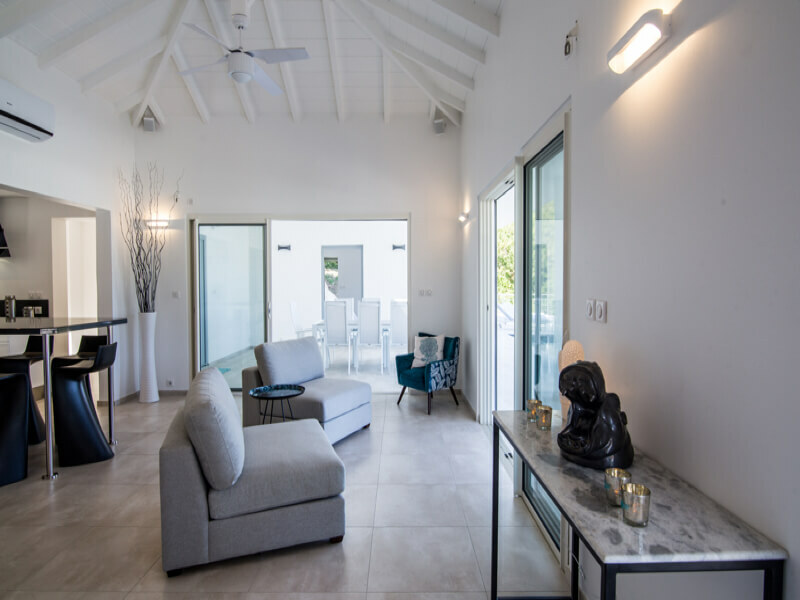 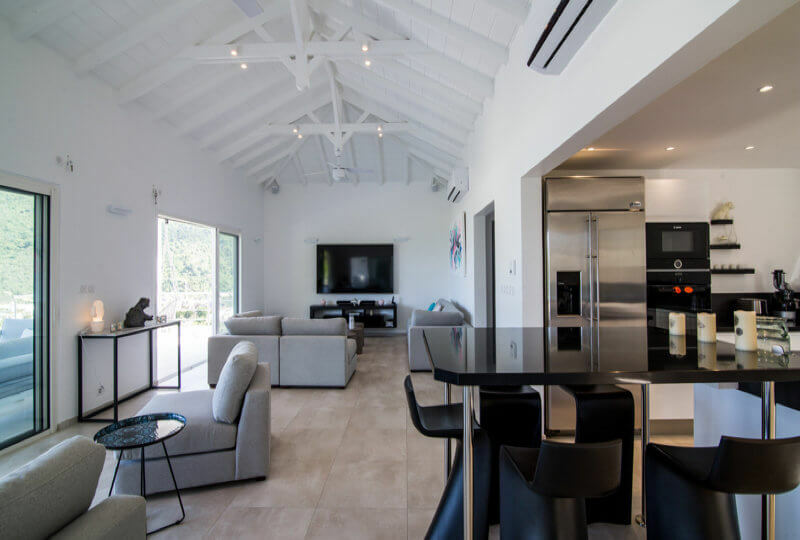 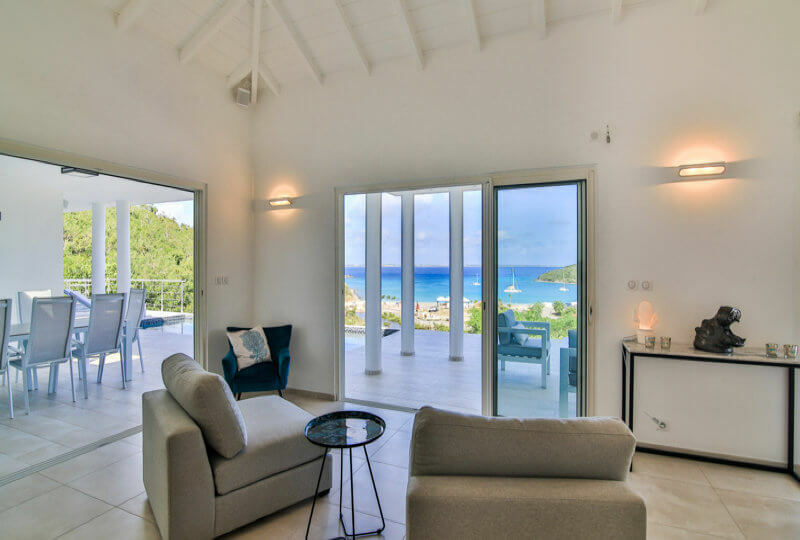 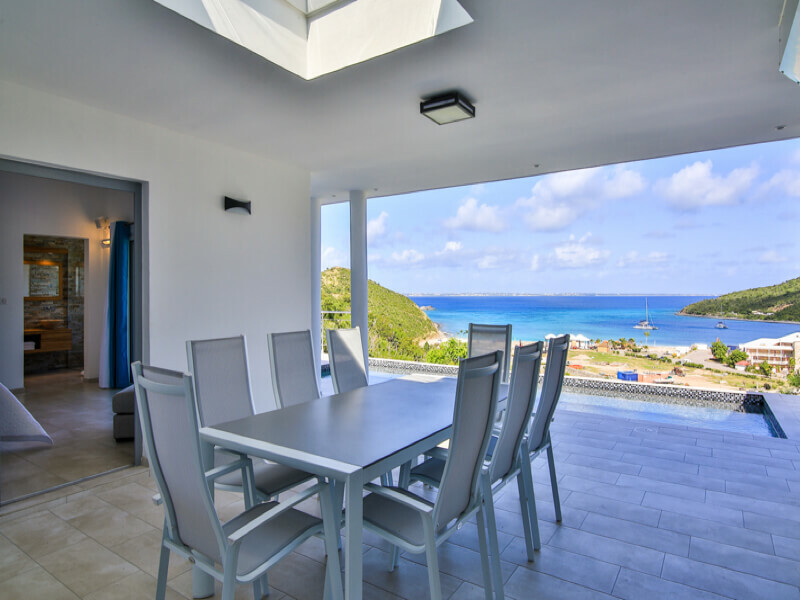 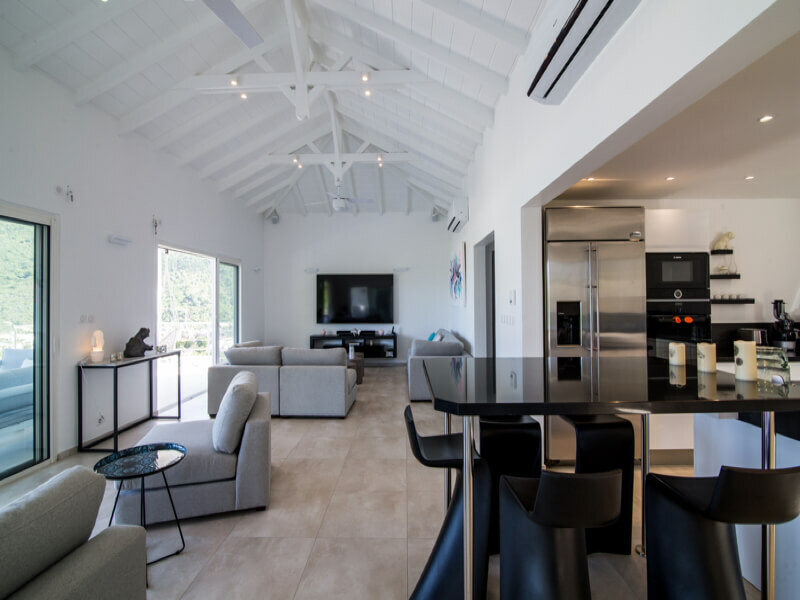 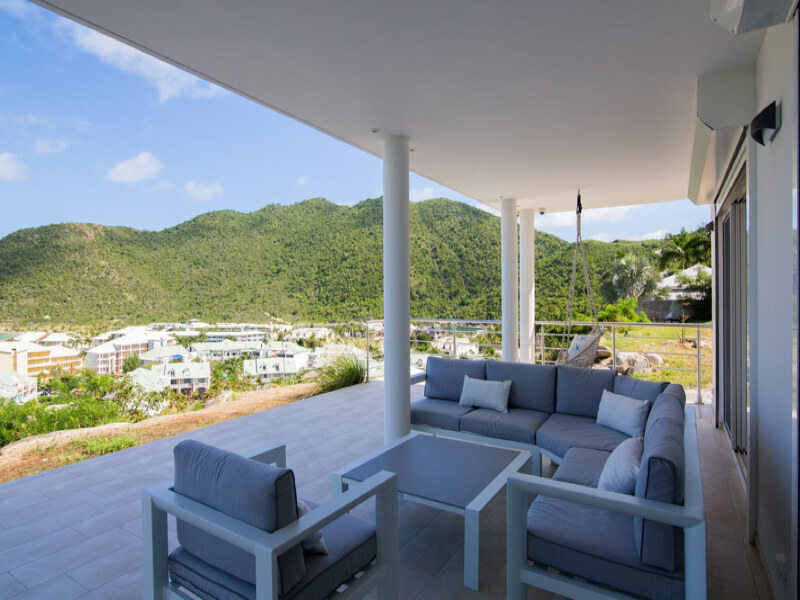 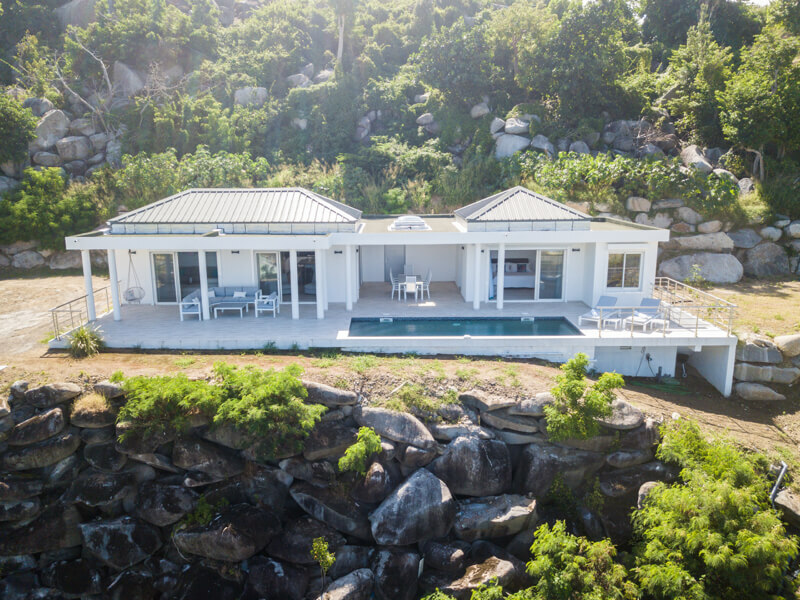 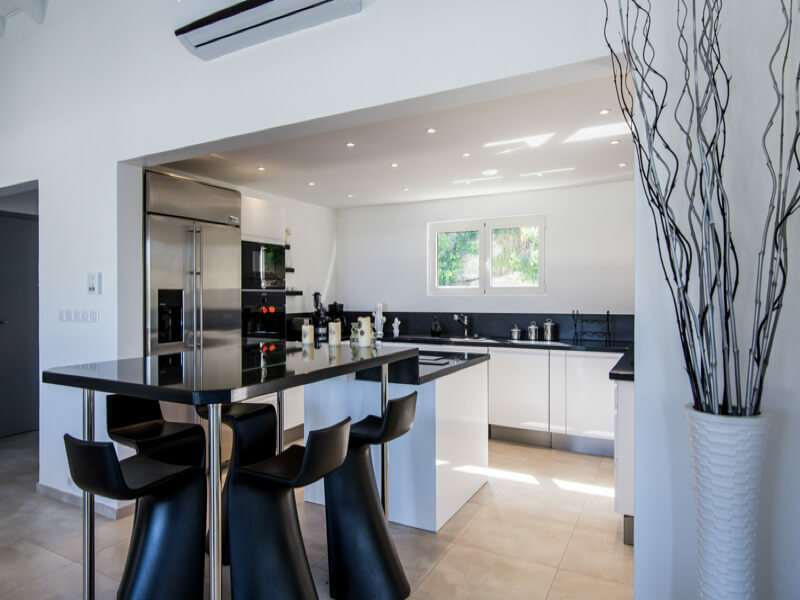 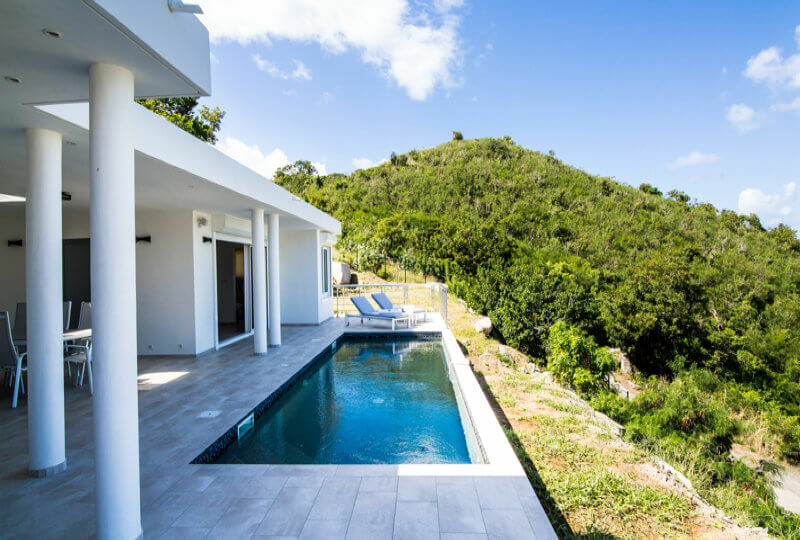 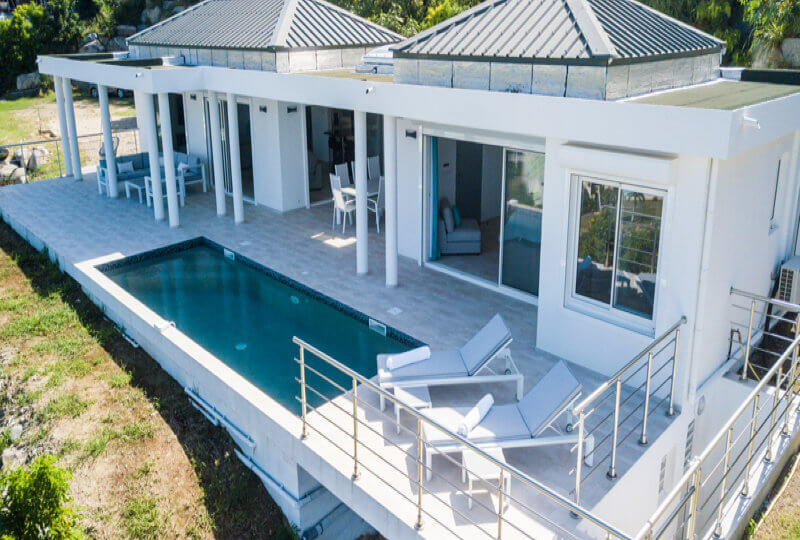 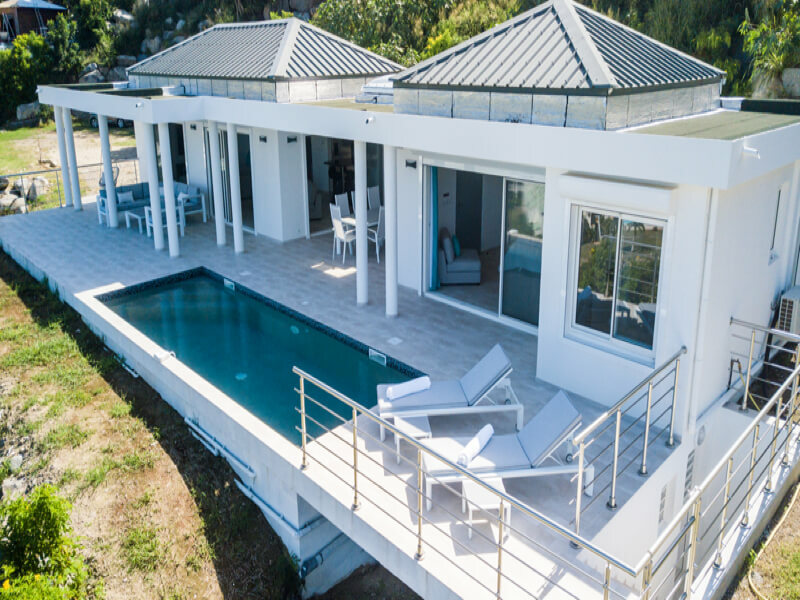 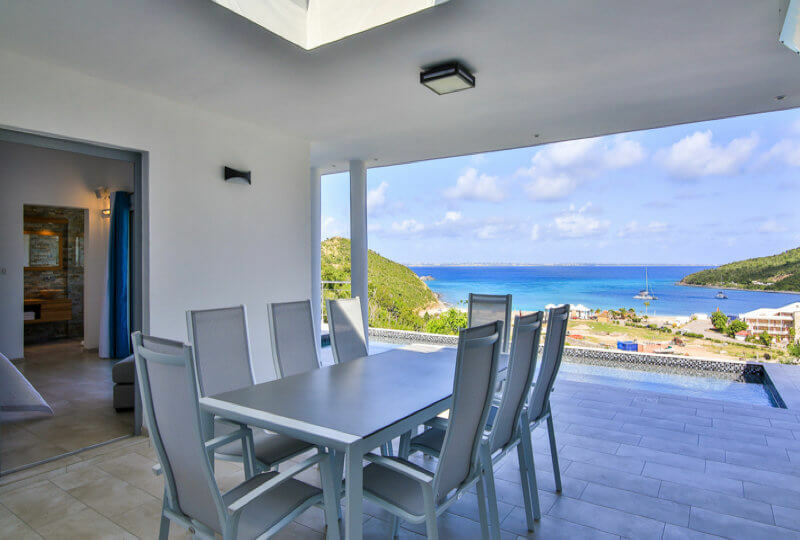 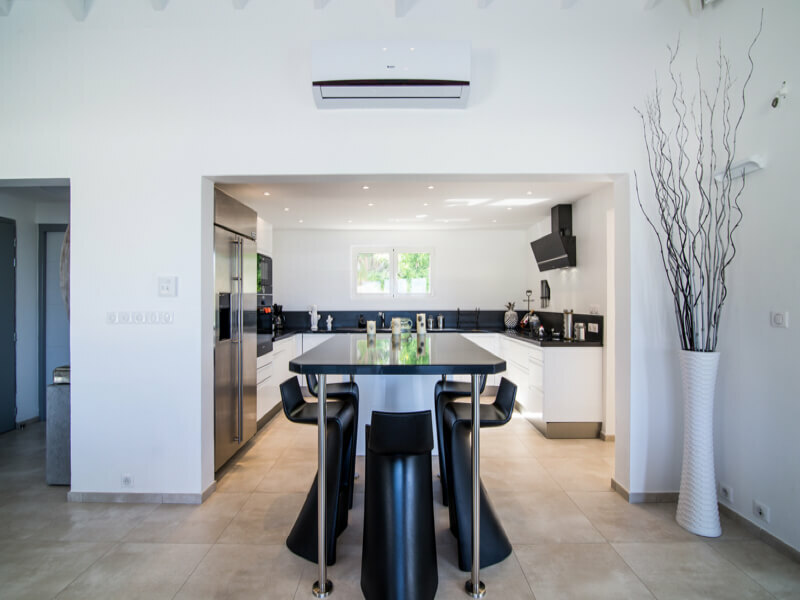 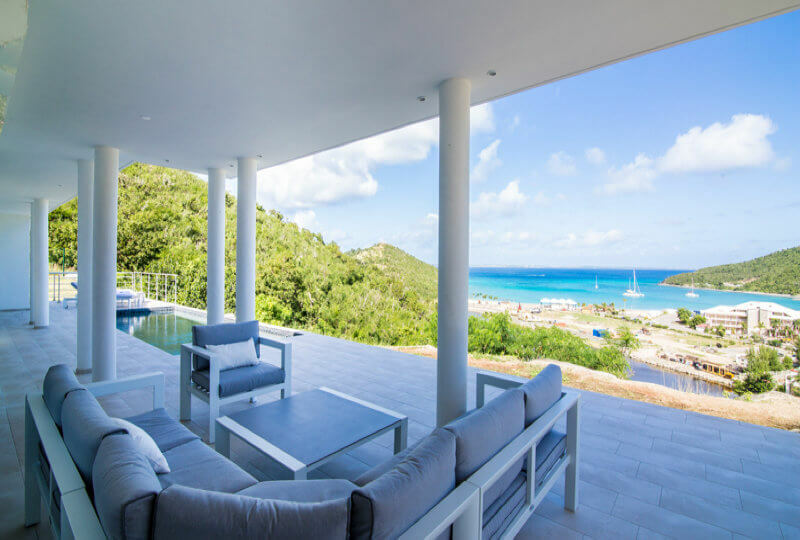 Villa Thi Majeste is a modern and spacious one level villa with private pool located in Anse Marcel, French St. martin. 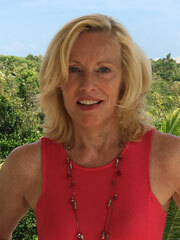 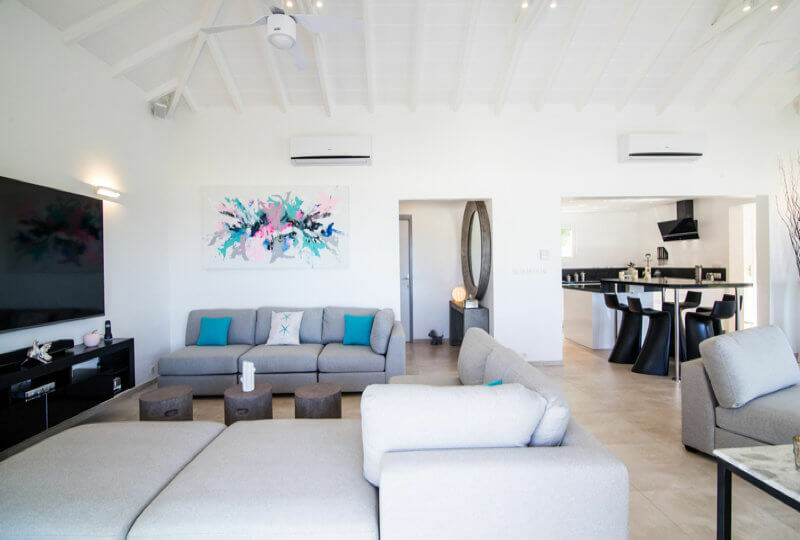 From every ankle you are overlooking the beautiful blue oceans and the beach of Anse Marcel. 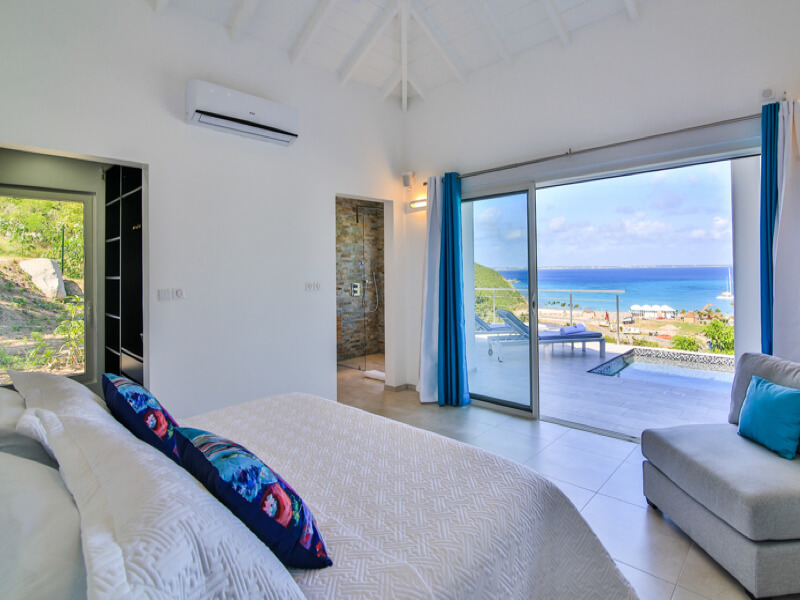 Villa Thi Majaste is the perfect location for a honeymoon or an intimate vacation for two. 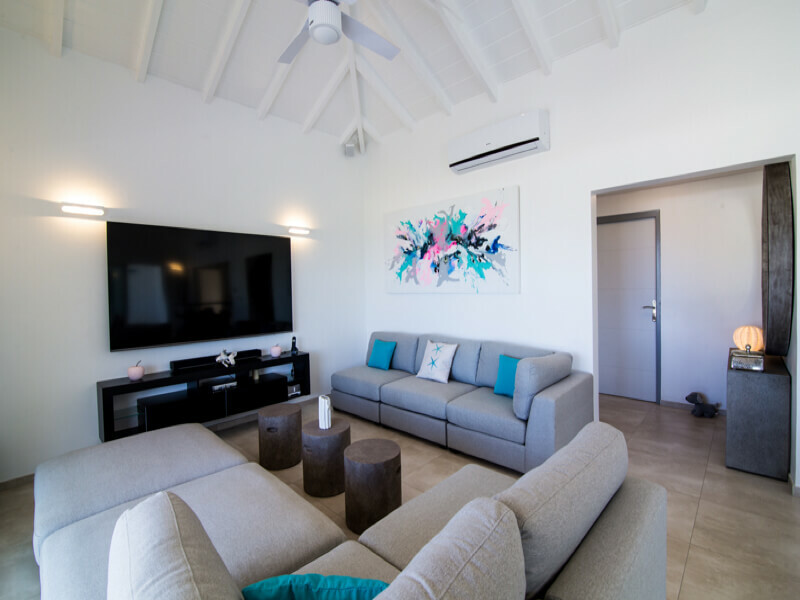 The comfortable living room as well as the spacious bedroom open up to the terrace and the pool area. 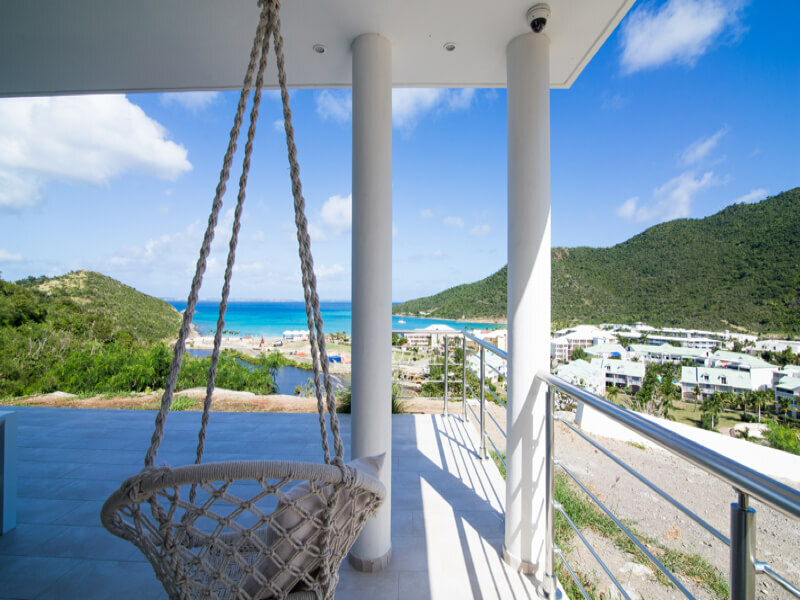 Settle on the outdoor sitting area to read a good novel. 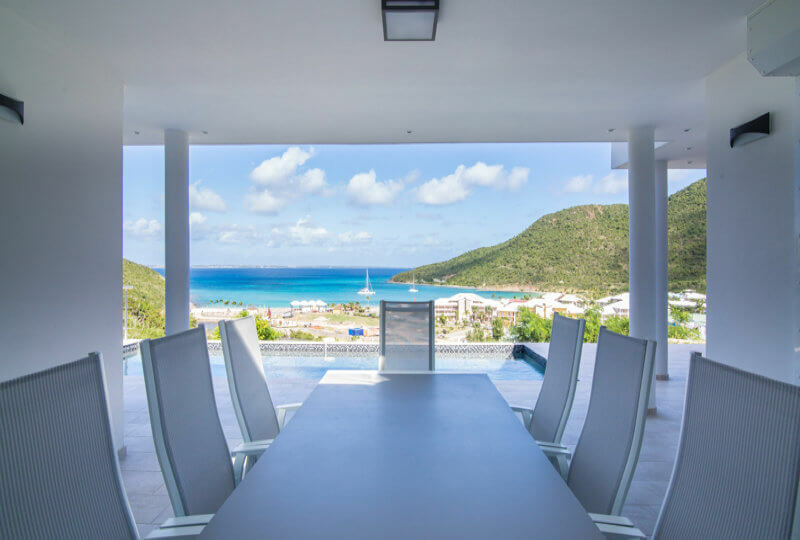 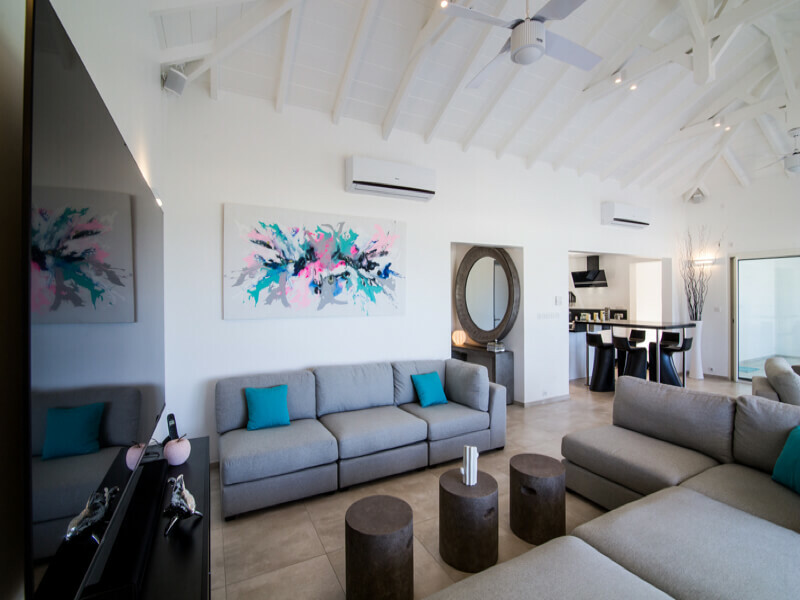 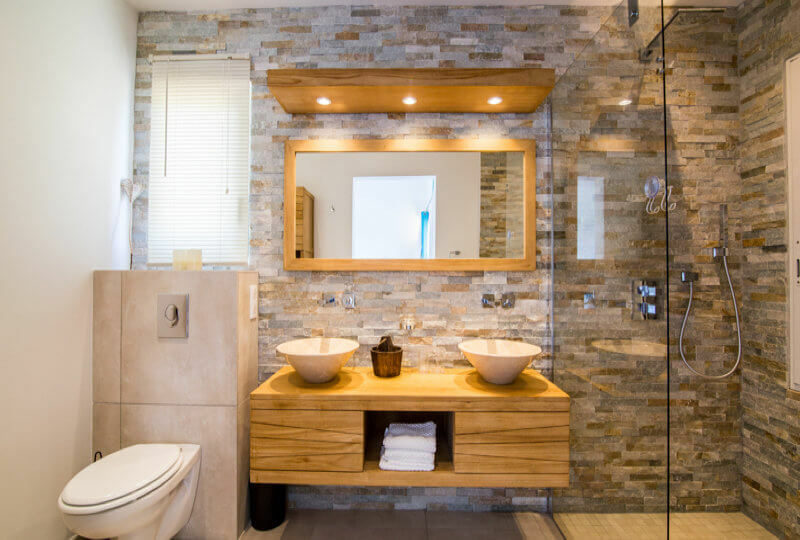 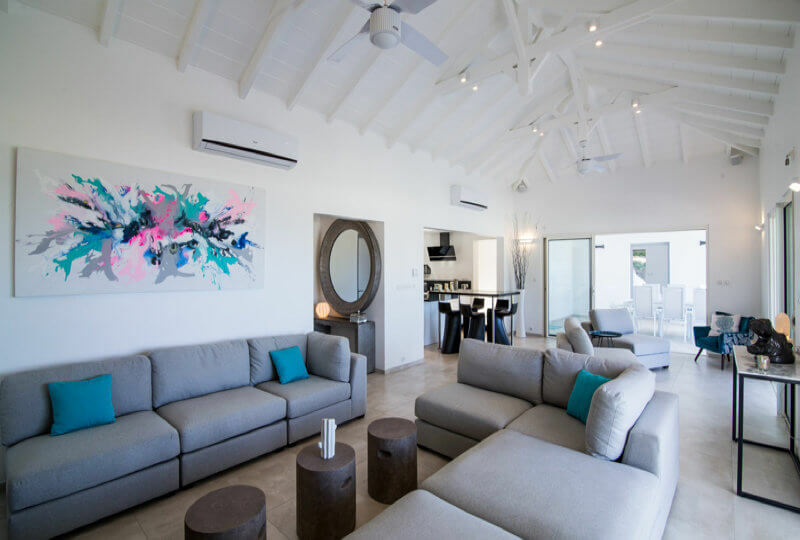 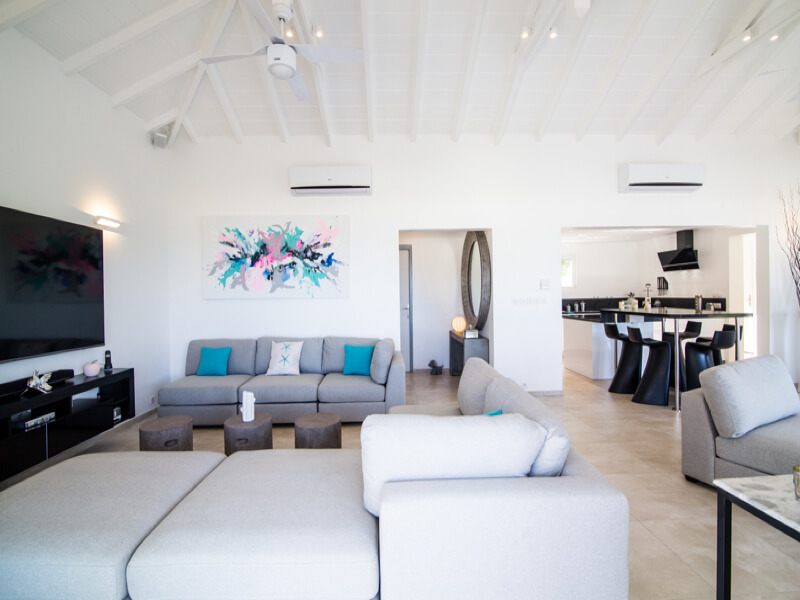 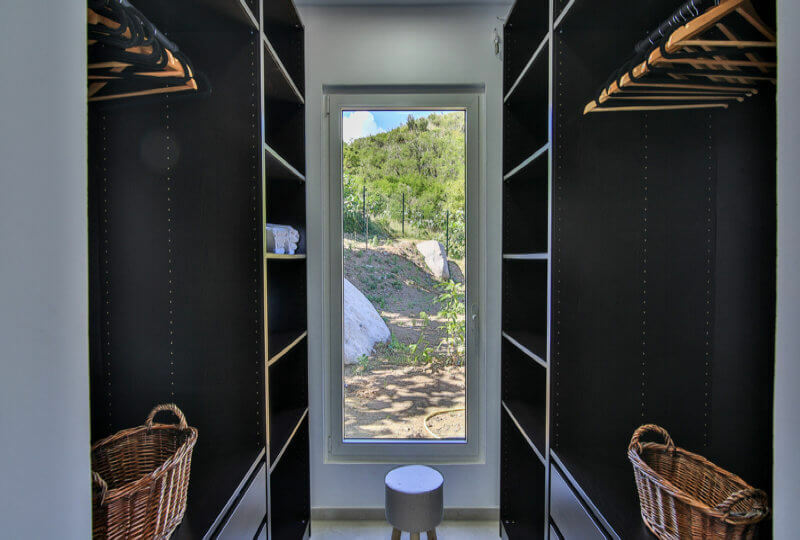 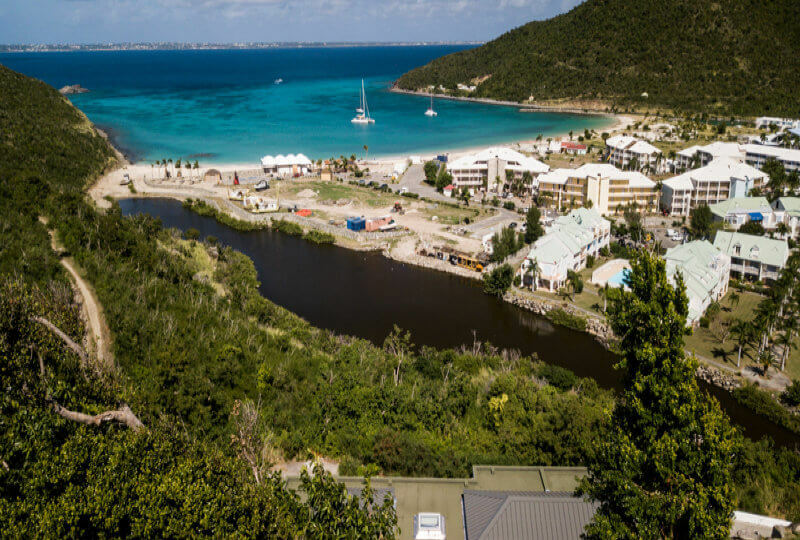 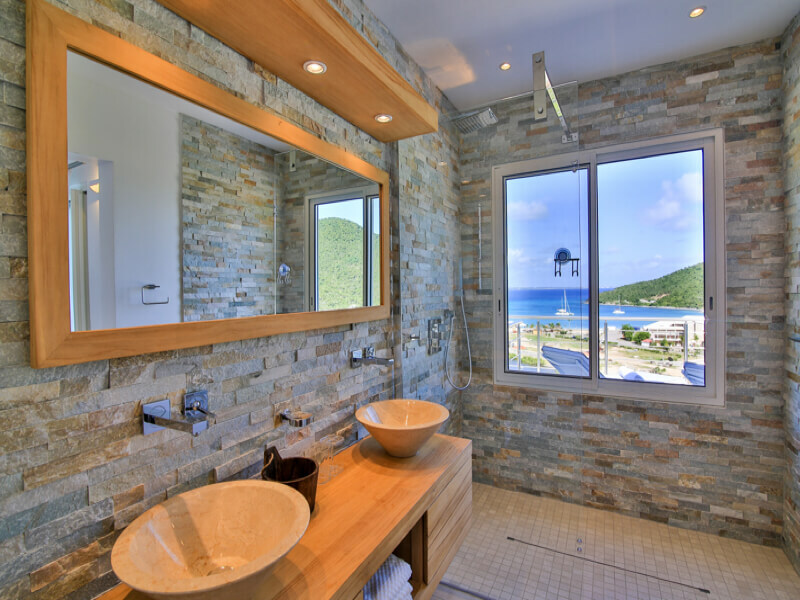 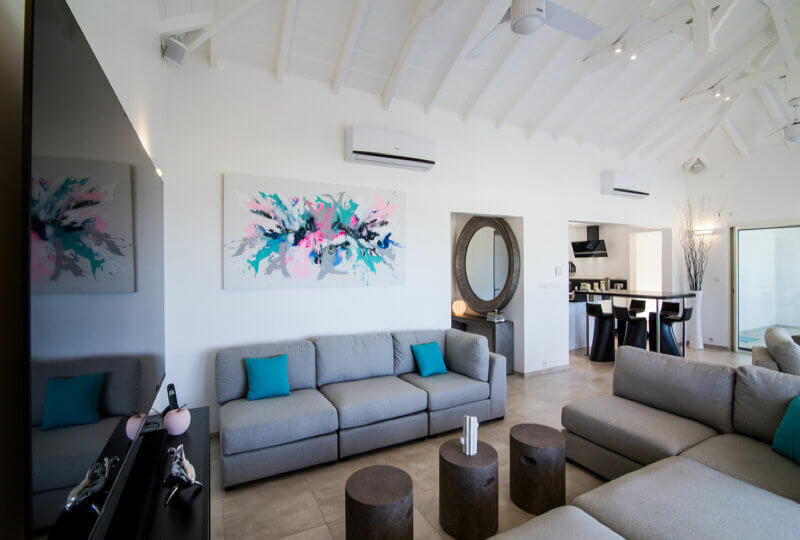 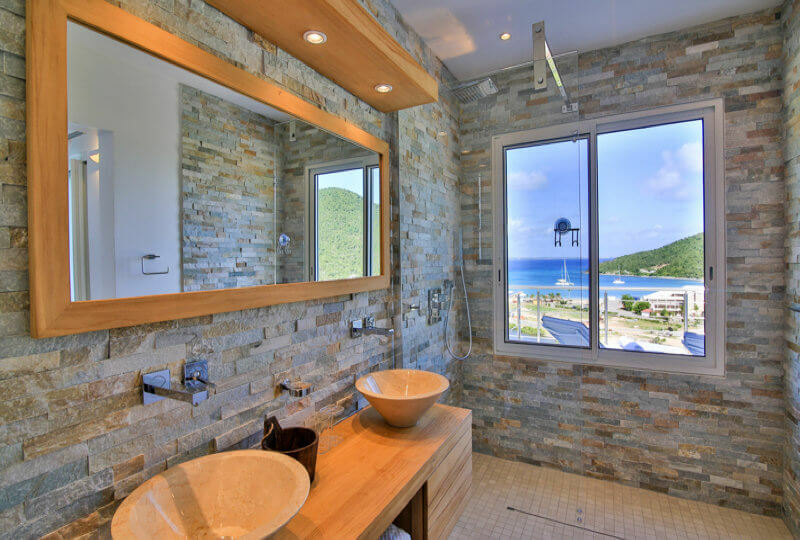 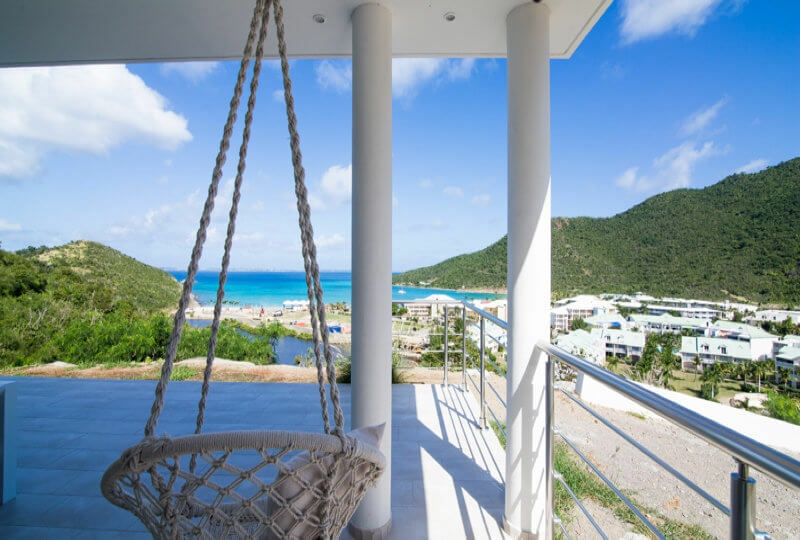 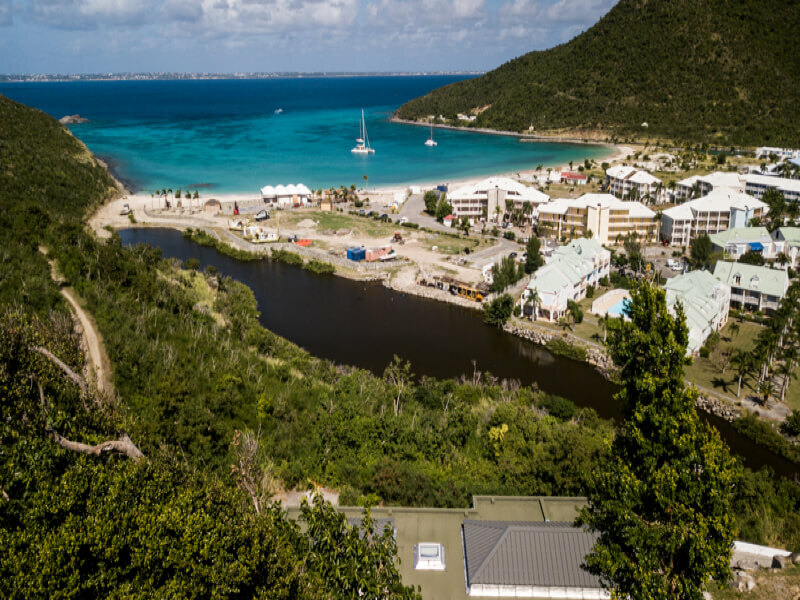 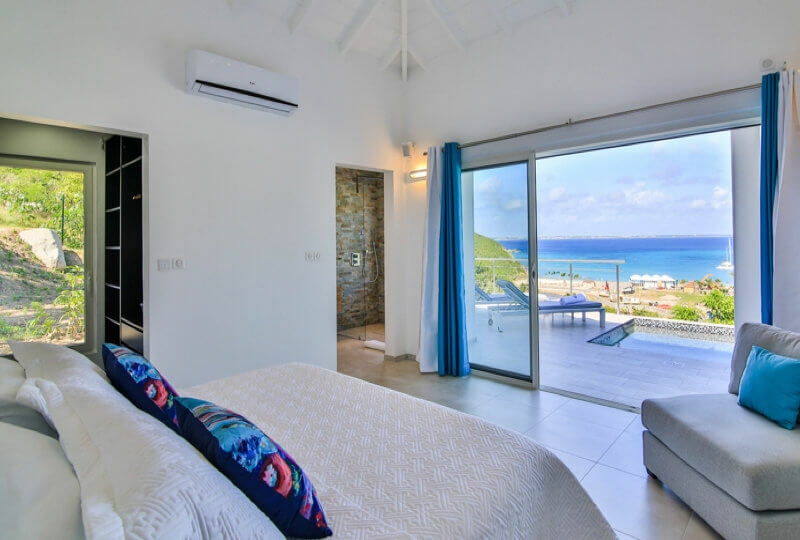 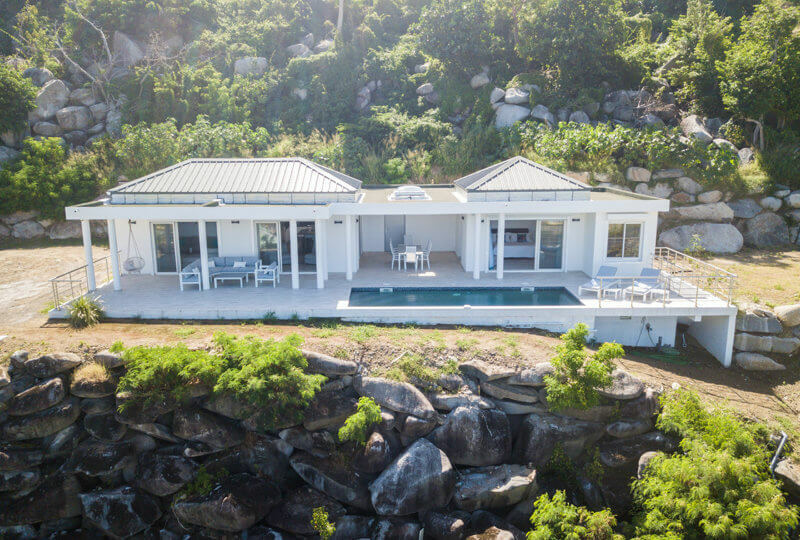 Villa Thi Majaste is within a short distance to the Anse Marcel beach & Marina for an ideal vacation on St Martin. 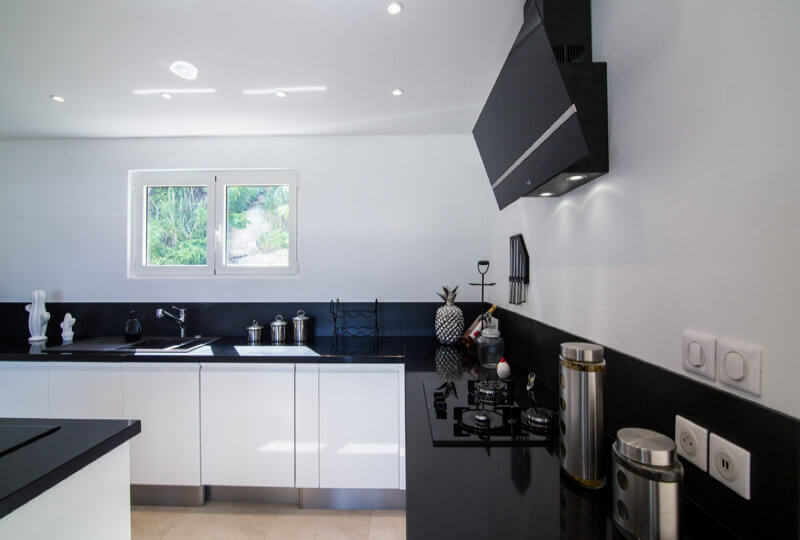 Please note that housekeeping at Villa Thi Majaste is twice per week. 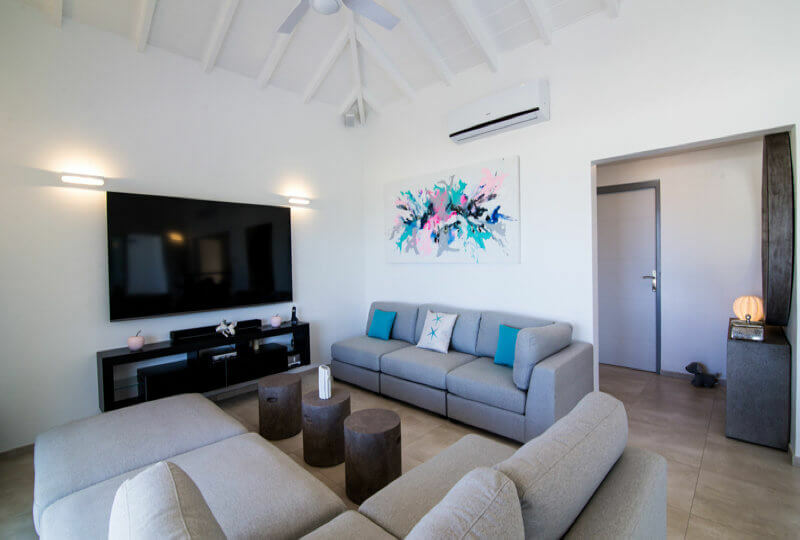 Comfortable couches around the large flat screen satellite TV as well as two oversized chairs overlooking the pool and ocean. 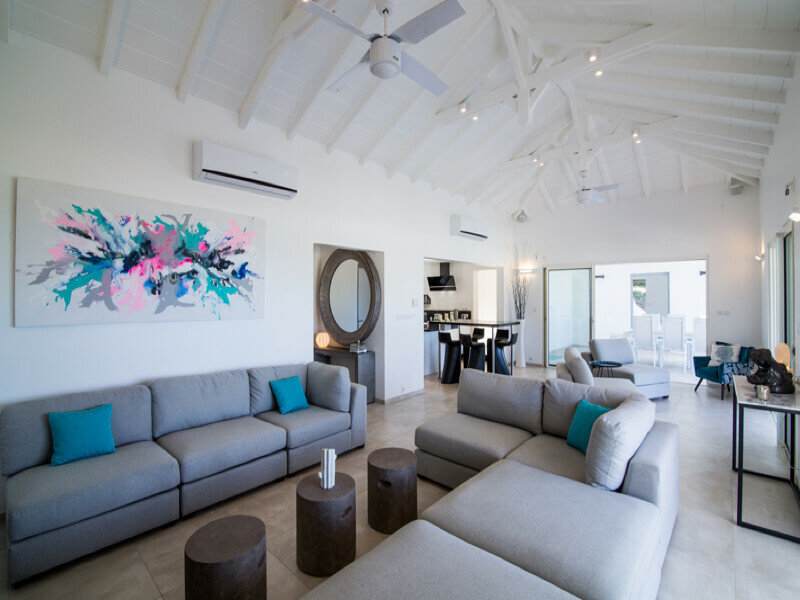 It offers also a ceiling fan, screens, phone, internet access, Ipod dock station.